Dr. Sammy M. Saadia is proud to announce the opening of his new office at 309 Avenue U (between West Street and McDonald Avenue), in Brooklyn. His brand new, state-of-the-art, dental office is filled with the most up-to-date dental equipment, and modern dcor. His office offers digital x-rays with 96% less radiation than traditional x-rays. Each room is equipped with a thermopedic chair, and flat screen television with cable. You may just feel like you’re at a spa, instead of a dental office! Dr. Sammy specializes in preventive and cosmetic dentistry. His 23 years of experience and his new location allow him to provide the utmost professional care to his valued patients. 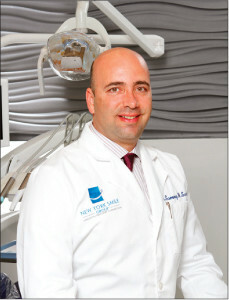 His education at the NYU College of dentistry has given him the skills to handle almost any dental procedure. His expertise goes from composite fillings all the way to bleaching. Say good bye to silver fillings, as Dr. Sammy only uses white composite fillings, to make cavities unknown! Say hello to a beautiful white smile with the top of the line bleaching system. He offers a take home kit, or in office experience. If you are ashamed of your teeth, have no fear, veneers are here! With veneers; a cover for your tooth, one can be proud to smile widely. In addition, our crowns are second to none! If crowns are a preference to change your dull smile into a white glamorous one, this is the place to do it! Although extractions can be one of the scariest experiences, Dr. Sammy’s gentle touch will make it painless, and comfortable. Root canals are often considered scary as well, but not in this office! We also treat TMJ disorders. For our adult and senior patients, Dr. Sammy has a full service lab for fixing, creating, and fitting dentures and partials to all mouths! Not only does Dr. Sammy specialize in preventive and cosmetic, he also does invisible braces. He is a licensed Invisalign provider. That in itself says a lot, but what says more is that with his experience, Invisalign named him a preferred provider. For those who don’t like to have metal in their mouth, Invisalign is the clear alternativeliterally! Invisalign uses new technology to give you straighter teeth, healthier gums and without the appearance of braces. As any patient knows, the most important part of keeping a beautiful smile healthy is maintenance. It is imperative that patients come for dental cleanings and checkups at least twice a year. Rest assured, we have one of the best hygienists in Brooklyn. Not only does she do efficient cleanings, she goes the extra mile and scales as well! If that isn’t enough, we offer comprehensive gum treatment that allows us to fix and prevent gum disease! Another bonus is providing sealants to our patients. Sealants are put in place to prevent cavities from forming! 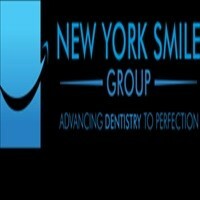 There is nothing that New York Smile Group can’t handle. Dr. Sammy’s passion for dentistry has transformed many patients lives by giving them beautiful bright smiles. We do full mouth rehabilitation to take care of all your dental needs. With that said, we have some of the best specialists come in for our patients. Implants, bone grafts, and more can be done with ease! In addition, Dr. Sammy is great with kids. We now have children running into the chair, willing and ready to let him dig in! His staff is always friendly and reliable. He never over books or double books his patients for appointments. The wait time in our gorgeous new office is usually minimal to none. Dr. Sammy Saadia is happy to invite everyone to come see his new office, and meet his professional staff.